Palm trees are underrated. They’re readily available at stores like IKEA and Lowes, safe and non toxic to cats, dogs, and birds, grow quickly, and are easy to take care of. While Instagram is flooded with Monsteras and Fiddle Leaf Figs, I, for one, would love to see some #palmlove. Harold (above) is my first Majesty palm, and one of my first indoor plants. He’s been through a mealybug infestation, scorching summer heat and a careless mom moment when I left him outside in freezing temperatures. Somehow he bounced back. 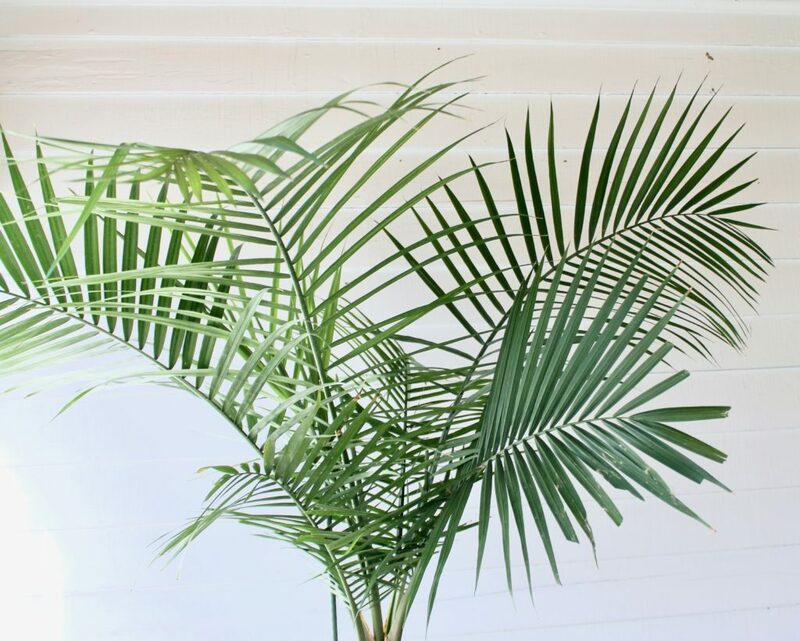 Palms are pretty hardy and as long as you listen and love them, they’ll be your favorite pet-safe large plant. Plus, they are one of the top air purifying plants for your home. There are many types of palms and to be honest they all look pretty similar. 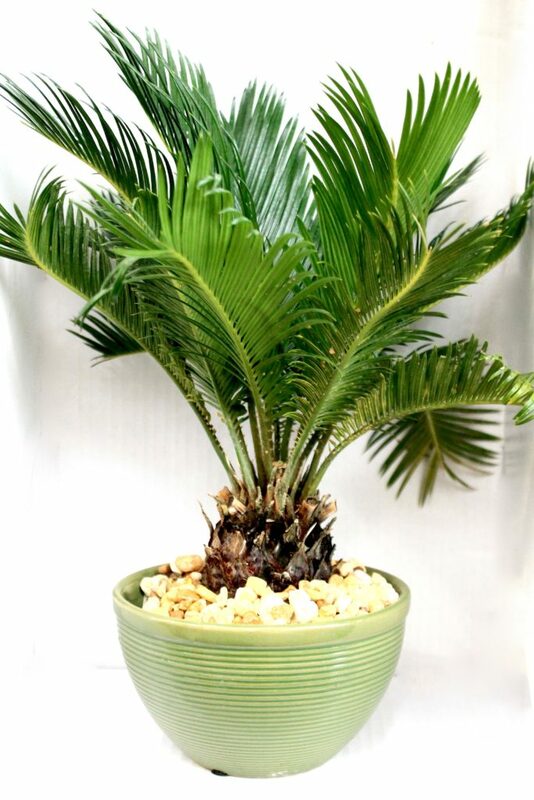 Typically big stores like Amazon and IKEA sell the Majesty Palm, which is the most common and completely non toxic to cats and dogs. 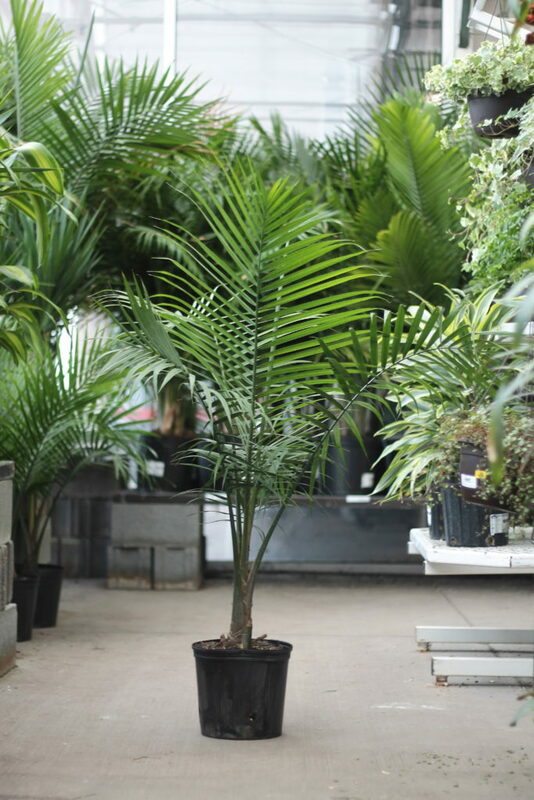 The latin name on the tag should read “ravenea rivilaris.” The Majesty Palm acclimates to both hot and lower temperatures, and is happy in medium to high light. Harold’s a Majesty Palm and has been trucking along for 4+ years, despite poor parenting. Areca Palms and Parlor Palms look similar to Majestys but are a bit more elegant. Their fronds are thinner and lighter, but they still grow tall and are non toxic to cats and dogs. Ponytail Palms (below) are more petite varieties, although they can grow to be huge, and are also pretty common in stores. Unlike the three listed above, Ponytail palms aren’t in the palm family, but they do look like one, and are safe for pets. Fishtail palms, Fan palms (below) and Sentry Palms are gorgeous. 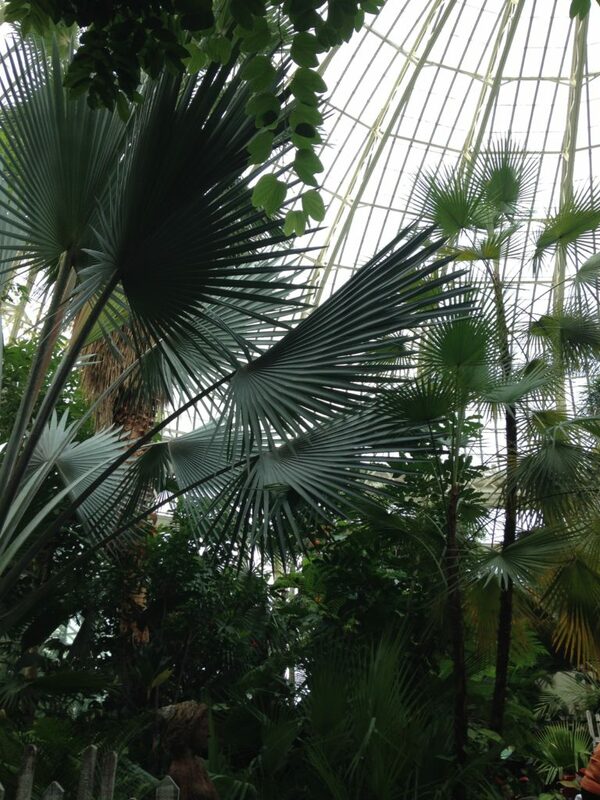 I always see them in fancy greenhouses in mansions and botanical gardens, but never find them available. 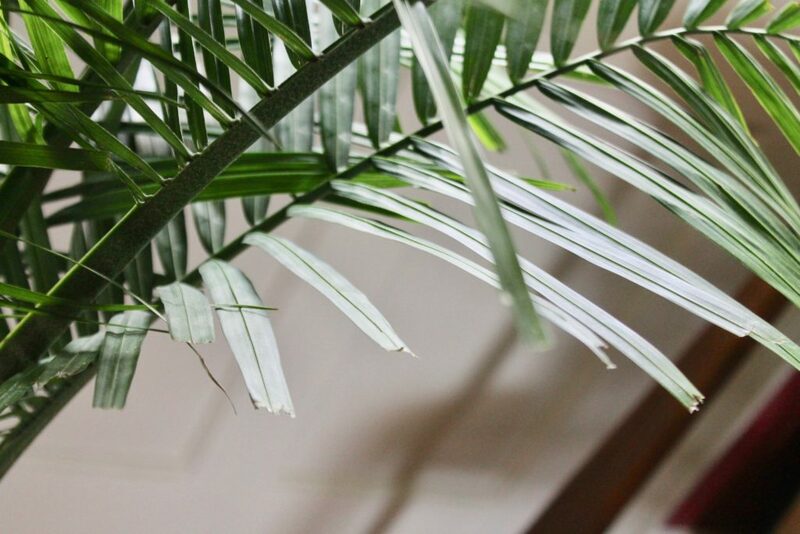 Like other palms, their non toxic, air purifying, and humidity lovers. Side note: If you ever do find these available to purchase, please buy one and send me a clipping. Please. I need to stop right here. Sure, you can fill your home with gorgeous palms that are completely non toxic to your cat, but I have some news, they will obliterate them. Your innocent cat may will eat you palm to shreds, until you find regurgitated sticky leaves all over your house and in the litter box. Palms are cat magnets. Why? Well, look at them. They’re stringy, taste like grass, and something you love. 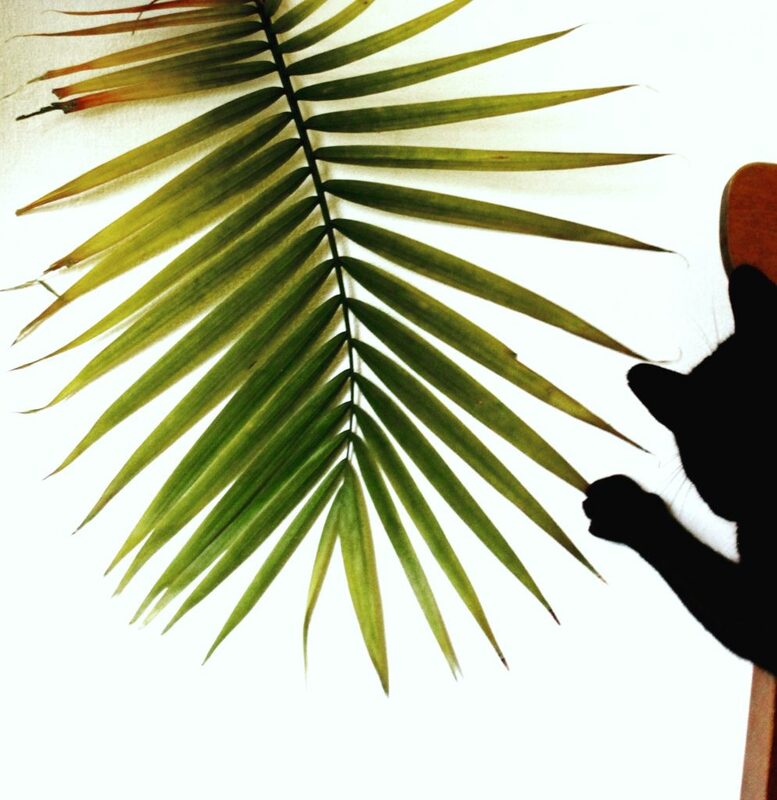 Unless you have angel cat sent from the heavens, you need to take proper caution bringing a palm into your home. Yes it’s fine if your cat munches, but they won’t stop munching it until it’s gone (see leaves below). 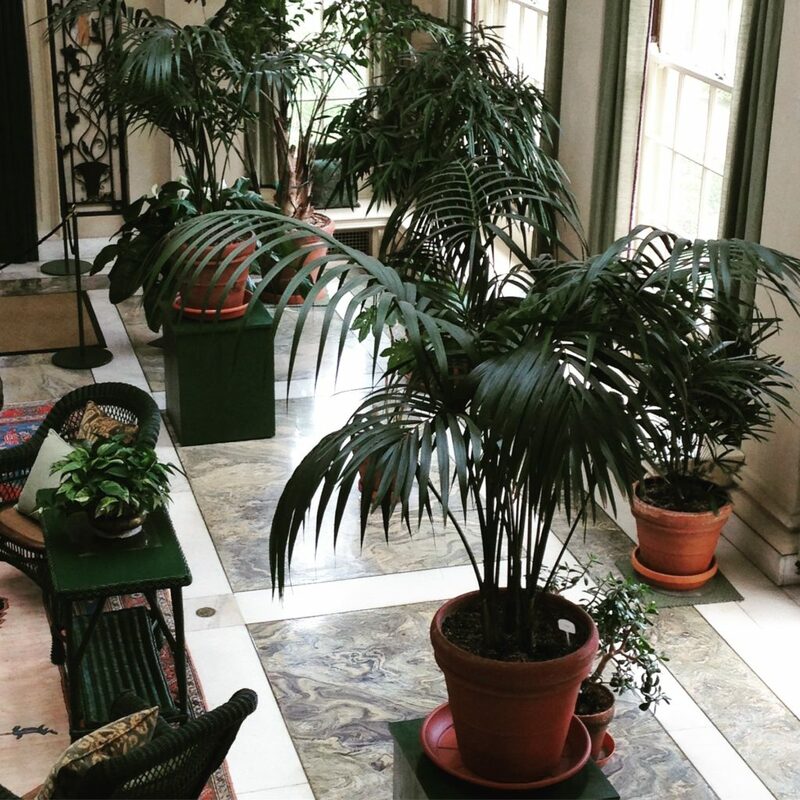 I recommend putting palms on plant stands, small tables and pedestals, just high enough out of reach. Yes, I treat my cats like a grabby toddler. 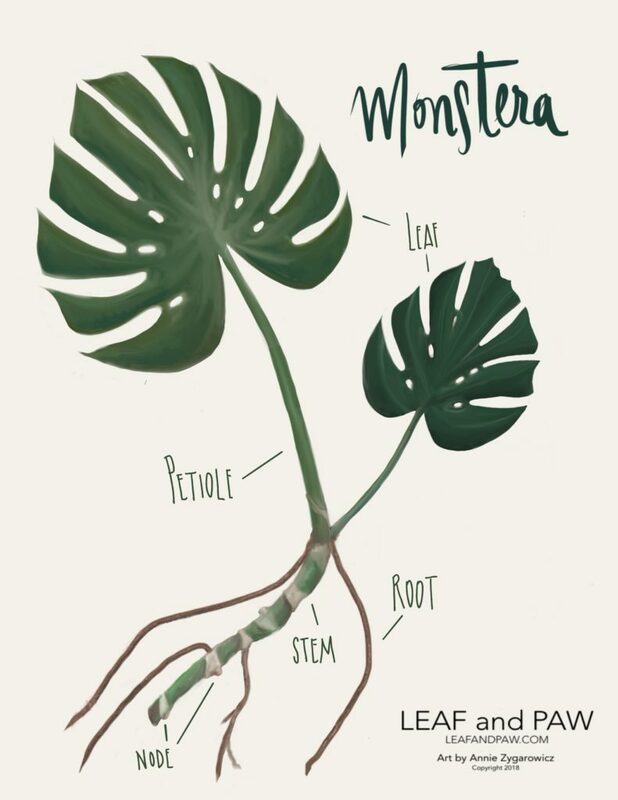 This is an important little blurb because many tall stringy plants look like palms but aren’t. This is actually why I included the latin names above, as that will be your only identification. 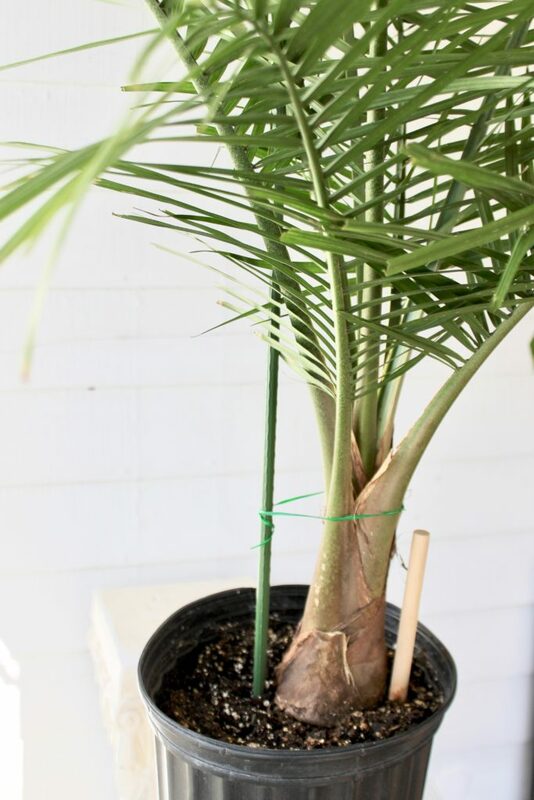 Many Dracaenas can be labeled a palm but aren’t, and these are toxic to pets. Take the extra second and read the label and if that’s not clear, ask an expert. Never buy a plant you can’t identify. The Sago Palm is an actual palm; it’s considered one of the most toxic plants to cats and dogs, resulting in death if ingested, and must be avoided at all costs. Sure, you can grab your tarot cards, why not. But that (probably) won’t help you become BFFs with your palm. 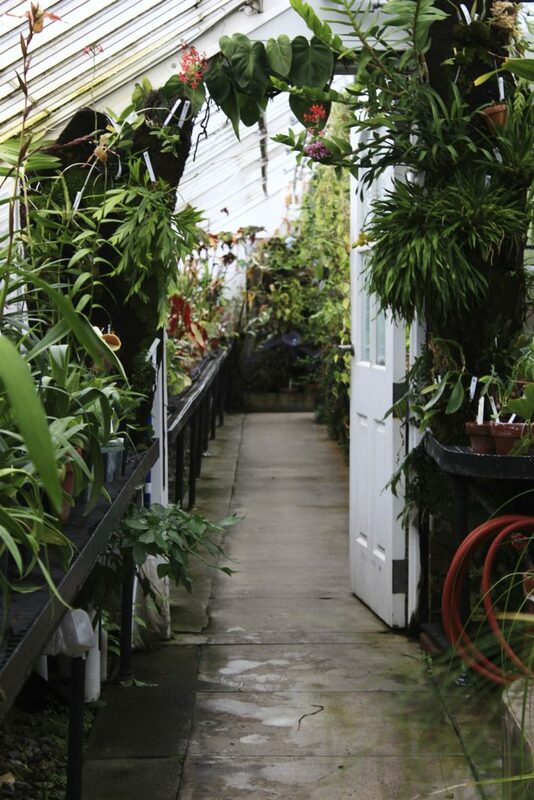 They can be tricky to care for, but so is any new plant that needs to adapt to your home conditions, which are usually inferior to the greenhouse they grew up in. All palms seem to like medium to bright light – mine are in an east window behind a sheer curtain. They do tolerate indirect light, but you need to be extra careful with watering. This brings me to my next point: watering. Overwatering is the number one killer of palms. I have seen them fall victim to soggy and moldy soil over and over again. Palms prefer to be underwatered if anything, but obviously grow best when watered consistently. Keep their soil moist throughout; the top layer should be slightly dry to the touch. During the summer, they grow rapidly, so attention to watering is imperative. Palms have a hard time staying upright, so you may need to stake it, as seen above. As far as planters go, Palms like drainage. Either a Terra Cotta or plastic planter will work, just be sure it’s sturdy with drainage holes. The goal is to have any excess water run off then be discarded. Palms hate soggy soil diapers. There are more palms that are rare and hard to find that I haven’t talked about here, but I live in the US and our exotic plants only get so exotic. Share your palms on Instagram and tag @leaf.and.paw with #palmlove. I’m really trying to make it a thing. Why you should visit a Botanical Garden.